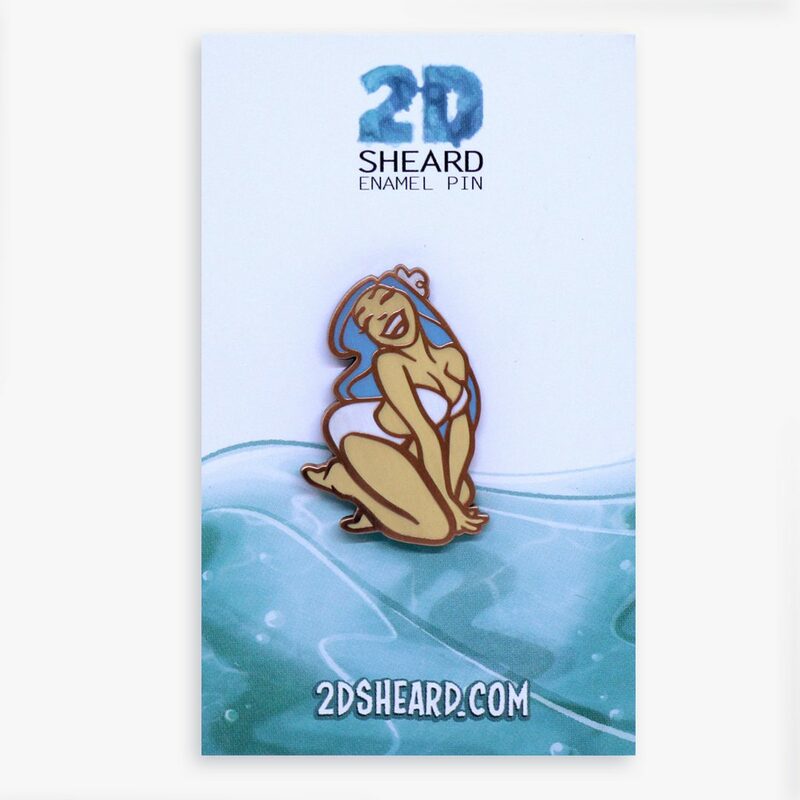 This gorgeous hard enamel pin is an original design by Melbourne pinup artist Mark Sheard. 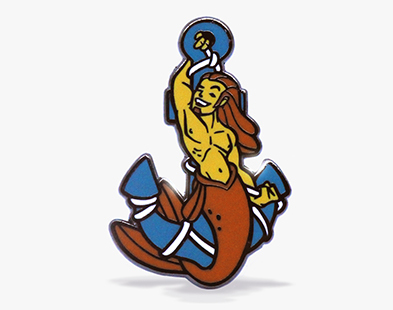 The pin is 35mm high and encased in Antique Copper for that softer finish. It features a beautifully rendered image of a sunbathing pinup in a bikini with a bow in her hair.